The elected officers of the Alumni Association are selected by its voting members at the annual meeting. The Sigma Omicron Alumni Association is chartered by Tau Kappa Epsilon International Fraternity and maintains a voting seat in the Grand Chapter, the supreme governing body of our Fraternity. Act as the primary fundraising arm for the Chapter Corporation, which is governed by the Board of Trustees. The Association operating budget is funded through the payment of alumni dues. While all alumni of Sigma Omicron are considered Association members, those who pay dues receive additional benefits not provided to regular members, such as voting privileges. Members are encouraged to support Association activities through payment of membership dues and participation in Association events held throughout the year. The Association also sponsors the Homecoming activities along with the annual Golf Scramble to raise money for the Sigma Omicron Scholarship Fund. 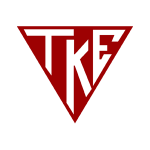 Join in celebrating the Fraternity for Life by renewing your commitment to the Sigma Omicron Chapter of Tau Kappa Epsilon International Fraternity at Middle Tennessee State University.